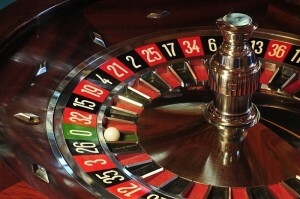 “The proposed ban on Internet gambling is a blatantly unconstitutional infringement on our liberties that will likely expand the surveillance state.” . 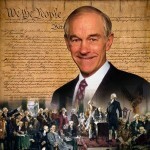 . . Ron Paul in report below. Most Americans, regardless of ideology, oppose “crony capitalism” or “cronyism.” Cronyism is where politicians write laws aimed at helping their favored business beneficiaries. Despite public opposition to cronyism, politicians still seek to use the legislative process to help special interests. 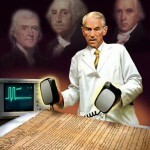 Featured Image: Ron Paul defending the constitution. CREDIT: Thanx to David Dees. The third annual Liberty Political Action Conference (LPAC) sponsored by Ron Paul’s Campaign for Liberty (C4L), was a four day event that brought together over 700 people from across the U.S. to “relax among likeminded people” in liberty. The biggest leaders in the libertarian movement were featured and spoke about how they are gaining traction in their campaign to advance the cause for liberty. Ron Paul. Thanx to David Dees. Featured Image: Ron Paul. CREDIT: David Dees. Both Ron Paul and Pat Buchanan have said the chemical weapon attack in Syria looks like a false flag event designed as a pretext for America to attack. Russia president Vladamir Putin also said the chemical attack looks like the rebels carried it out themselves to use as a justification for the U.S. to get involved. Featured Image: Ron Paul official Congressional portrait, 2007. SOURCE: Wikipedia Commons (Public Domain). Featured Image: Ron Paul official Congressional photo portrait, 2007. SOURCE: Wikipedia Commons (Public Domain). Doctor Ron Paul has been the face of Libertarian politics since the 1970’s and now the former lawmaker is set to launch his own Internet based show that will broadcast his views on liberty and limited government. RT’s Meghan Lopez has more on how Ron Paul is taking the revolution online.